Mineral P-fertilizers are on the one side essential for nutrition of agricultural plants but on the other hand can also cause eutrophication of water bodies. Mineral-P-fertilizers are mainly produced by the limited P-resource rock phosphate. Due to these limitations of P agriculture is facing a huge challenge, namely to ensure the nutrition of humans and the income of farmers as well as limiting the ecological footprint, which is challenging the society as a whole. 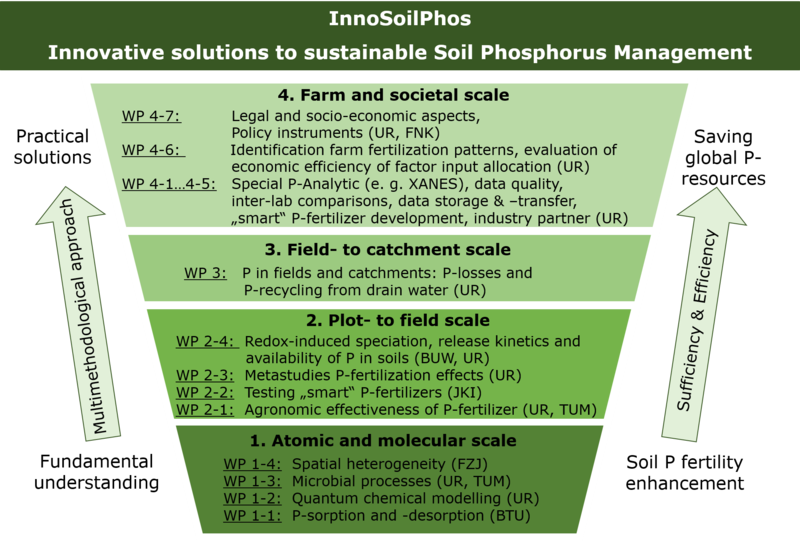 Therefore, the project InnoSoilPhos wants to answer not only scientific but also questions of social and humanistic science and is working in 10 working groups at four different scales: (I) the atomic and molecular scale, (II) the plot- to field scale, (III) the field-to catchment scale, and (IV) the societal scale. Beside the University of Rostock (UR) the following institutions are involved: the Brandenburgische Technical University Cottbus - Senftenberg (BTU), the Julius-Kühn-Institute (JKI), the University of Munich (TUM), the Research Center Jülich (FZJ), the Research Unit Sustainability and Climate Policy in Leipzig (FNK) and since 2018 the Bergische Universität Wuppertal (BUW). 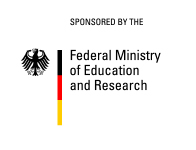 the spatial heterogeneity, P-sorption, -stocks and possible –activation/usage in sub soil (WP 1-4: N. Siebers, FZJ).